– Jason Saul, Co- Founder and CEO, Mission Measurement, a leading research firm that measures and evaluates social impact. Research shows that our programs have a lasting impact on the communities in which we work. Here are some highlights of our successes. 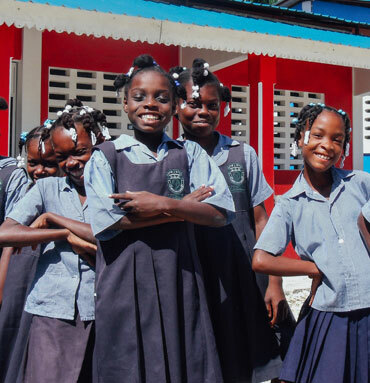 Since the creation of our Education pillar, more than 1,500 schools and schoolrooms have been built in WE Charity partner communities, giving 200,000 children the chance to get an education, and transform their lives and their communities. In 2015, when Kenya’s national exam results were released, Kisaruni All-Girls Secondary School ranked number one out of all 112 schools in Narok County, and a Kisaruni student was the first ever to earn an A in English in the region. The KCSE exam is taken by all students graduating from secondary school in Kenya, and it determines students’ eligibility for post-secondary education. 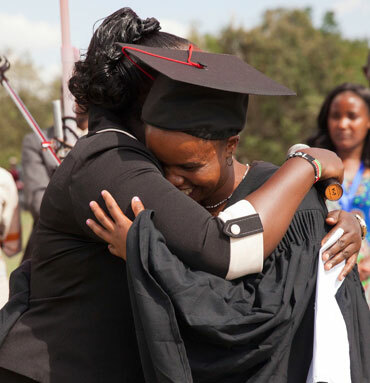 Many of Kisaruni’s graduates are now planning to pursue a university education and hope to receive loans and scholarships to make this possible. 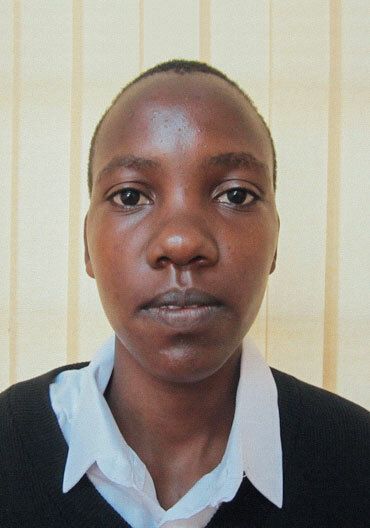 Salome Maroko, one of Kisaruni’s graduates, is the first-ever girl in Narok County’s history to earn an overall A grade on her exams. Now, she’s hoping to continue on to university to become a doctor. Salome grew up in the rural community of Oloosiyoi with her parents and four siblings. Her parents are subsistence farmers, but when droughts hit and their crops failed, they struggled to provide for their family’s basic needs. On school holidays, Salome and her sister had to work at neighboring farms to earn extra money for uniforms, books and school supplies. It wasn’t easy, but Salome graduated from primary school and earned a place at Kisaruni, which gave her a chance at a secondary school education she may not have otherwise been able to access. 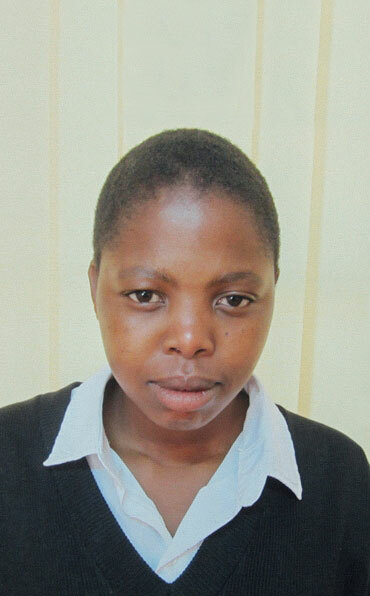 Marcella Sang was one of just 36 students across all of Kenya to score an A or A- in English. She was also the first student in Narok County to earn an A in English. Marcella grew up in the rural community of Pimbiniet, one of 11 children. She’s the first in her family to graduate from high school. 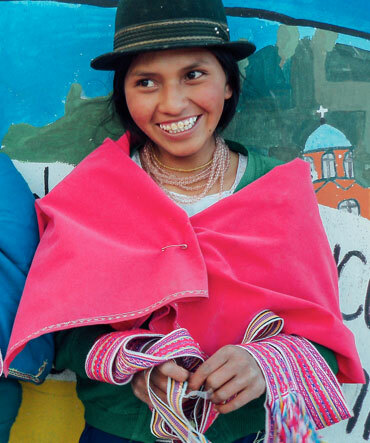 Like her classmate Salome, Marcella also had to overcome obstacles to finish primary school. Her parents struggled to provide her with the supplies she needed for school. But Marcella worked hard and received top marks in her primary school exams before being accepted at Kisaruni. She hopes to become a journalist. 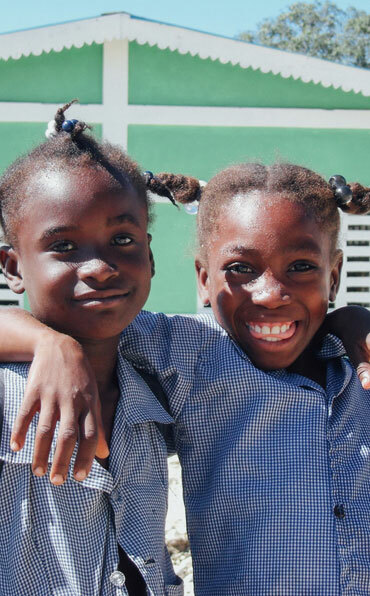 Immediately after construction of Manac Primary School in Haiti in 2010, enrollment rates skyrocketed to over 400%. This means children at this school are already on the path towards job opportunities, healthier lives, and—especially for girls—greater gender empowerment. Estil is only one of the 475 students registered at the school in Manac, but she captures the spirit of hope and excitement felt by the whole school. This excitement has turned into tangible results: Manac’s sixth grade examinations were the best in the region. Plans are also being made to expand the school’s facilities to include latrines, hand-washing stations, a community garden and more classrooms. Students like Estil can’t wait to see what happens next. Since the creation of the Water pillar, one million people have been provided with improved access to clean water, health care and sanitation. That’s one million people empowered to lift themselves and their families from poverty, and build healthier, more productive communities. 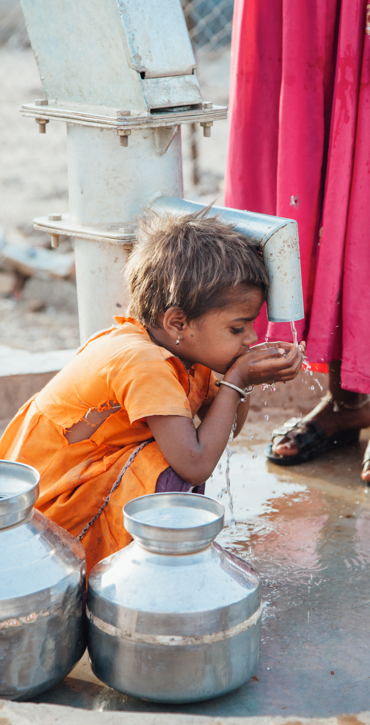 In the community of Udawad, India, for example, two wells were rehabilitated in 2014, providing clean water to more than 800 families and ensuring access to water during the dry season. That means every member of the community is now at a drastically-reduced risk of getting sick due to waterborne illness. Families also have improved access to water during the dry season, giving them better access to food and a stable income, and reducing the need for their children to help gather water or farm instead of going to school. Ramli lives in the remote hilltop community of Udawad with her husband, sons and daughters-in-law. 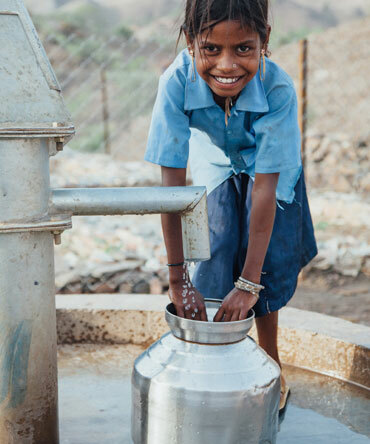 For years, she would begin each day by fetching water from a well near her village. She and her daughters-in-law repeated this journey up to 10 times a day, balancing water in earthen pots on an uneven, hilly path. The journey was difficult, but Ramli’s family needed the water for cooking, cleaning and drinking. In the summer heat, the shallow well would sometimes run dry, and the women had to walk for hours until they found another source of water. And the water they collected often was contaminated and the family would get sick. To help ensure access to a sustainable source of clean water in Udawad, WE Charity worked with community members to rehabilitate a hand pump and install a new water tank outside the community’s school. Water pipelines were also installed to bring water directly to homes like Ramli’s. Now, more than 900 people, including Ramli and her family, have access to clean water, and no longer worry about waterborne diseases. Now that Ramli spends much less time collecting water, she has more time to look after her home and focus on her farming. She can care for and irrigate her crops, even during the dry season, ensuring that there is enough nutritious food to feed her family. In Kenya, over 100,000 patients have been served at Baraka Hospital and Kishon Health Centre since opening in 2010 and 2013, respectively. Maternal and child mortality devastates households and communities as a whole, negatively affecting economic growth, livelihood productivity, health outcomes, and opportunities for education. The services provided by Baraka’s maternity wing directly impacts the rate of maternal and child mortality by providing preventative care, and equipping mothers with both the necessary health services and the knowledge to raise healthy children. In 2015, Baraka Maternity Wing was voted the best maternity wing offering comprehensive, quality, professional services to mothers in Narok County by the Narok County District Quality Assurance Team. Joy radiates from the young mother as she carefully cradles her newborn for the first time. Sunshine floods in through the window in her room in the Baraka Health Clinic maternity wing, creating an inviting place for her to recover, while the nurses and doctors check in on her regularly. In the past two years, Baraka Health Clinic helped deliver 213 healthy babies in the new maternity wing, giving mothers exceptional care during labour, and providing support for nutrition, hygiene and immunizations after the baby is born. Providing a place for a safe delivery is just one step to ensuring a new baby gets the best start in life. At Baraka, care starts early in the pregnancy and continues long after the baby is born. The clinic gives soon-to-be-mothers education about pregnancy and potential complications, tetanus vaccinations and iron supplements, and ultrasounds and physicals to monitor mother’s and baby’s health. After the baby is born, staff closely monitor the health of both baby and mother, with a check-up at two and six weeks. In addition to the check-up, health care staff talk about the importance of hygiene, nutrition and breastfeeding for the baby. But health care services don’t stop there. 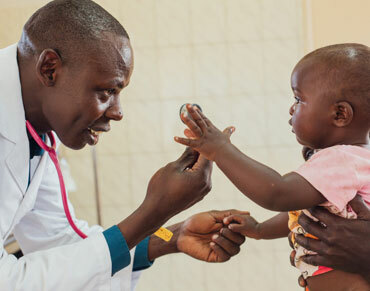 As the baby grows older, Baraka provides a Child Welfare Clinic program to provide immunizations, assess developmental milestones, and monitor nutrition and growth. More than 4,000 children under the age of five have been immunized, preventing communicable diseases and ensuring proper growth. Since the creation of the Opportunity pillar, 30,000 women have been provided with economic self-sufficiency tools. 2017 was an exciting year for the eight girls’ groups across seven partner communities in Ecuador. Twenty-three workshops were held, covering over 30 financial literacy and entrepreneurship topics. Loans were pooled and withdrawn by the girls as springboards for their own entrepreneurial endeavours. The first rounds of loans were paid back with interest according to schedule! The increase in income means greater opportunities for education, better access to nutritious foods, and more involvement in decision-making at the household level. The leadership programming and the increase in income also empowers the young women, giving them confidence in their own voice and in making decisions about their future. This programming also addresses gender equality, leading to healthier and more educated households, greater economic opportunities, and an improved outlook for future generations. A few times a week, members of the girls club in Totoras wake up early and walk through the morning mist to school. Normally, they would practice their weaving skills, turning red, yellow, blue and pink yarn into cintas (hair ribbons) or fajas (belts). But today is different. Even though they’re now expert weavers, they leave their looms at the side of the room. Today they’re starting a completely new set of lessons on animal husbandry. They’ve crowded together, talking excitedly amongst themselves about what they might learn. Then the instructor, a neighbour from the nearby community of San Miguel, starts to speak, and the girls quiet down. Their first lesson is about how to care for livestock, and includes tips on things like vaccinations and proper feeding. Over the coming weeks, they’ll learn how to look after their flocks, how to raise lambs and some savvy business skills. 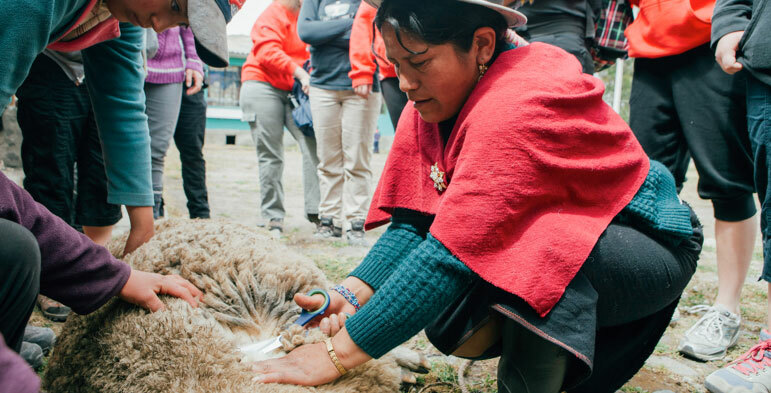 By learning how to look after a flock of sheep, members of the girls club take their future into their own hands. They can raise the animals themselves and sell lambs to others looking to start their own flock. Or they can sell wool at the market. Or they can keep the wool for their weaving, which helps keep costs down and lets them make a bigger profit from the sale of their crafts. It’s their choice. 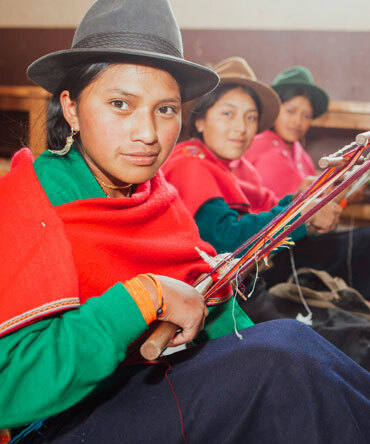 These lessons are empowering the young people of Totoras. By learning how to lead healthier lives, they’re removing barriers to their education and helping their community thrive. By learning how to raise a herd of sheep, they’re opening up new opportunities for themselves and their families. Eventually the first class on animal care comes to a close, and there’s a quick conversation about when they’re meeting next. When that’s done, the girls have a few minutes before school starts, so they step outside to get some fresh air. The mist has vanished and the sun is shining. 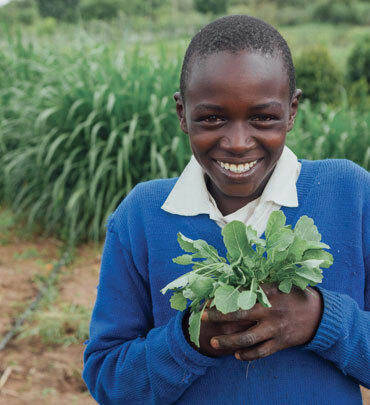 In 2017 alone, three community farms in Kenya produced over 6,000 kg of fresh produce. The result? Homemade nutritious meals made by community members to feed their families. In an area with changing weather patterns and increased vulnerability to shifting global food prices, it is important for food security that community members are able to adapt. With greater agricultural training and access to food produced at Oleleshwa Farms, the community has a consistent source for healthy and diversified foods. Support for our lunch program also means better nutrition for students, which translates to improved attendance rates and better concentration and productivity in class. Viola Kirui stands in the Oleleshwa garden, leaning over a bush with a pair of pruning shears. This spring, the vibrant greenery has reached the height of her knees, brushing the yellow hem of her uniform skirt. “We have been taught to live as a community,” says Viola, smiling. The highlight of her time at Oleleshwa has been making friends and becoming part of a community that makes decisions together. She already feels like a different person from the timid young woman who first transferred here. “Being in Oleleshwa has made me stronger, bolder, courageous and outspoken. We are the seniors. Therefore we are expected to be the role models to the others,” says Viola, stooping to inspect a yellow-and-green leaf. For students, Oleleshwa Secondary School isn’t just a place of learning. It’s the home where they live, socialize, play and grow as leaders and friends. For Viola, gardening is a way to give back to Oleleshwa and beautify her new home. But her love of nature runs even deeper than that. You see, Viola’s personal heroine is Wangari Muta Mathaai, a Nobel Peace Prize-winning environmentalist from Kenya. You can see the same tenacity in Viola, and in all the Oleleshwa learners, as they greet each new day with enthusiasm, curiosity and determination to plot their futures and succeed on their own terms. “There was only one school here. Now, they have a new school, a bigger school.